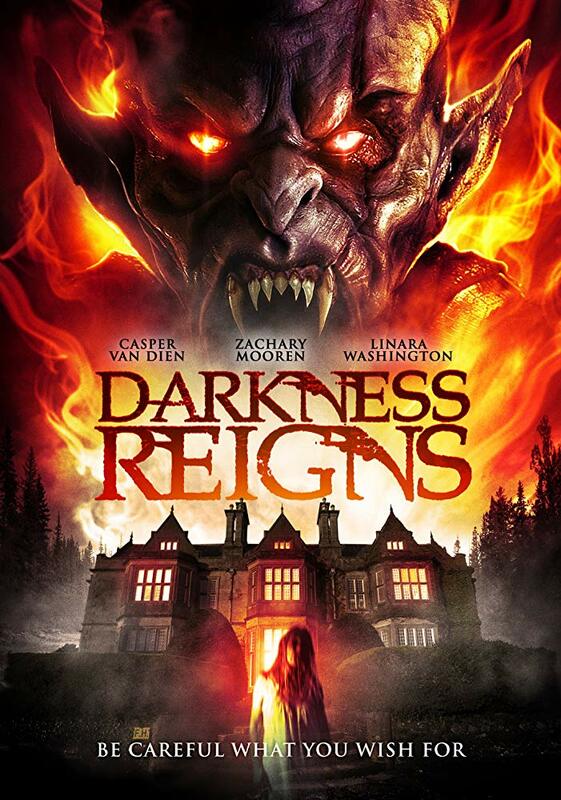 A group of filmmakers shooting a behind-the-scenes documentary in a reportedly haunted hotel are faced with an unfathomable demonic force that possesses and attacks both the crew and the film’s star, Casper Van Dien. Will the film’s director be able to escape with the paranormal proof he has captured, or will he succumb to the hellish plans of the demon who has surfaced and pay the ultimate price? This movie was pretty decent, it’s basically a movie within a movie and it kind of pokes fun out b-rated movies even though it is a b-rated movie. Or at least that is my take on it. It’s about a horror movie being filmed in a haunted hotel and you can pretty much guess how things turn out. Nothing too original about it but I still enjoyed it and if you have Amazon Prime you should check it out.